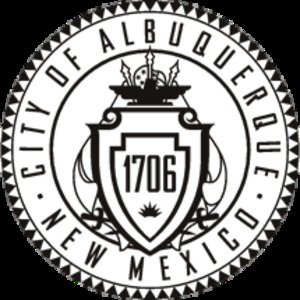 One of America's treasured cities, Albuquerque boasts the largest population in the beautiful state of New Mexico. 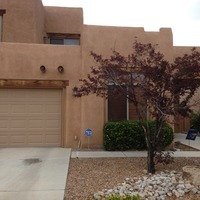 On along the Rio Grande, this, the 32nd largest city in the US, Albuquerque is a vibrant place filled with college students, Air Force cadets, and beautiful vistas like the Sandia Mountains. But before you get lost in the incredible landscapes, or go hiking on one of the surrounding areas beautiful trails, don't forget to secure your home. Take control of your possessions, and make sure that your family is protected. Because even amidst natures most pristine landscapes, there is still crime to prevent. 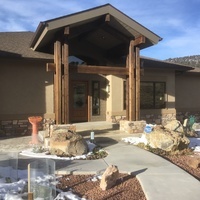 Alarm Grid's home security is tailor made for the nature-conscious Albuquerquean. No hassle, no contract, and best of all, incredibly reliable service all for a price you won't find anywhere else. Alarm Grid, in partnership with Criticom Monitoring Services, provides the most reliable and secure central station monitoring in the industry by offering the redundancy of 3 networked and load balanced monitoring facilities (NJ, FL and CA). Alarm Grid will monitor unlimited zones so you can be sure your family and property are safe and protected at all times while making you eligible for a homeowner’s insurance discount which can sometimes even cover the cost of your monitoring service. All of our UL Listed Central Station plans connect your system to a live operator 24/7 who can call the proper authorities for dispatching in case of a confirmed break-in, fire, or any other type of emergency. Alarm Grid is always there when you need us and best of all, we have no activation fees, no contracts, and no hidden charges! While we always encourage central station service, some security system owners do not need or want a central station involved. Alarm Grid’s self monitoring plans are less expensive and allow access to the great features offered by Total Connect, Alarm.com, or Telguard without being connected to the central station. Additionally, aside from Self Bronze, all of Alarm Grid’s self monitoring plans allow remote access to the robust home automation options made available through a Z-Wave enabled security system. Whether you live in a region where central station service is not available or desired, self monitoring (offered world wide via internet communications) is a cost effective option for keeping you connected and up to date with your professional security system. Receive customizable text and email alerts to any number of recipients on all alarm events - alarms, arming / disarming, troubles, power loss, and more. A live operator calls you to verify alarms. In the event of a real alarm, we dispatch the proper authorities. We monitor unlimited zones for burgulary, fire, or any other type of emergency and record all system arming / disarmings. Crash & Smash or APL included for applicable systems. Your security system uses a phone connection or internet alarm communicator to report alarms to our central station. Daily supervision of internet communicators included and daily test timers on phone systems allowed. Interactive services such as Total Connect require an internet alarm communicator connected to your system. Daily supervision of internet communicator included. The most secure and reliable communication path. Alarm Grid activates your system’s cellular communicator and pays for the cellular data charges. Can be combined with phone and/or internet for redundancy. View live status of system and zones, and control your security system from anywhere using mobile app or computer. With a Z-Wave enabled system, control lights, locks and thermostats when you’re not home for lifestyle convenience and energy savings. Receive snap shots of alarm events triggered by your hybrid motion sensor / camera to verify alarms. Requires Alarm.com communicator. View your property live through approved IP cameras and receive actual video clips when motion is detected. Video is stored online and can be downloaded as needed. Interactive services such as Total Connect, Alarm.com, or Telguard require an internet or cellular alarm communicator connected to your system. Alarm Grid pays for the cellular data charges. Can be combined with phone and/or internet for redundancy. Interactive services such as Total Connect require an internet alarm communicator connected to your system. "The YouTube videos it made the installation job easy and gave me confidence that the system would be installed properly! I saved $900.00 on my Alarm Grid system!"